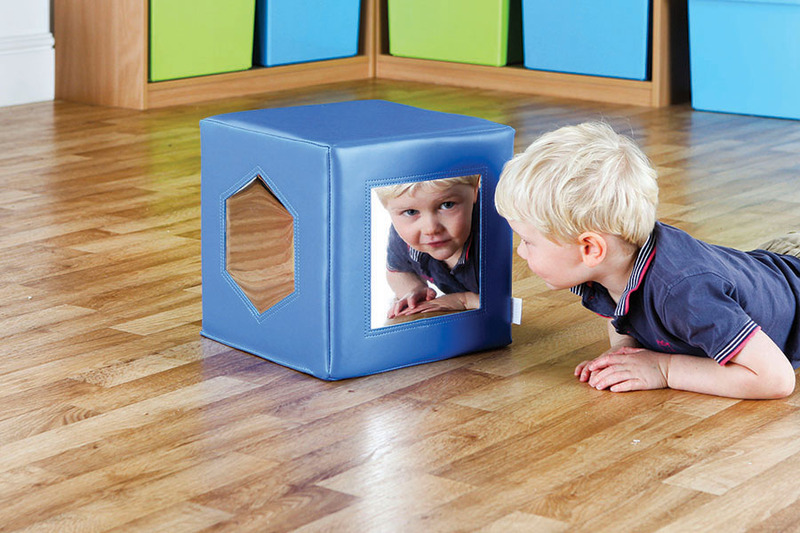 The Soft Play Mirror Cube has been designed for use in pre-schools and nurseries. Ideal for developing self-awareness and encourages interaction with other children. The geometric shaped mirrors are great for early years’ shape recognition. The soft play mirror cube has no hard edges and features soft mirrors for safe play. Manufactured using a dense foam which is covered with a soft touch vinyl and is closed-stitched sealed to ensure the covers are not removed. Each cover is colour-fast, stain resistant and can easily be maintained with its easy clean surfaces.